Porsche has unveiled the coupe version of its Cayenne SUV. 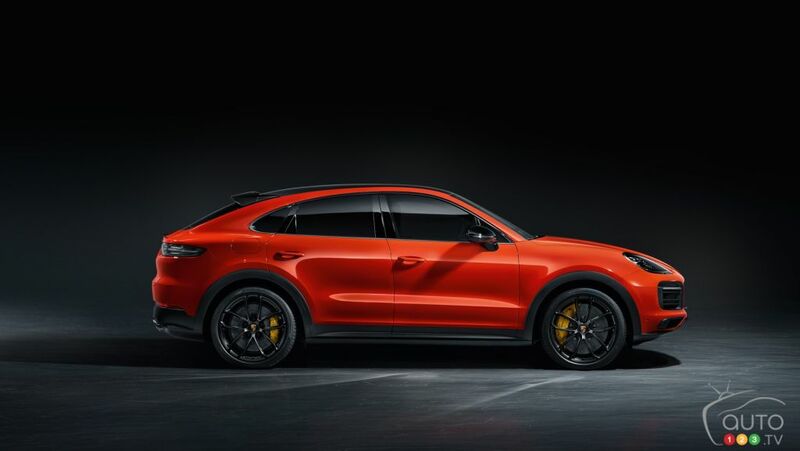 The 2019 Cayenne Coupe is part of an industry trend towards creating versions of existing utility models that sacrifice some practicality in the service of greater sportiness. We saw BMW do it with the X6, and then Mercedes-Benz followed with the coupe variant of its GLE. More of their kind have appeared in other segments since then. Now Porsche throws its hat in the ring with a sloping rooflined version its oldest SUV model. While the styling of the new version is still very recognizable, pretty much everything back of the front door is new. The plunging roofline is designed to make of this “the sportiest model in the segment”, in the words of Porsche’s head stylist Michael Mauer. In terms of its dimensions, the windshield is slightly more inclined, which translates into a roof that sits 0.78 inches closer to the ground. You would think that rear passengers will pay the price for this, especially since the roof slopes down there, but Porsche actually also placed the back seats 1.18 inches lower within the cabin. Don’t try to get more than two people in there though. The regular Cayenne can fit three passengers in that space. The exterior back end is defined by sharper lines and the presence of an active spoiler that adapts to the driving situation. New side panels serve to widen the shoulders of the Cayenne Coupe in relation to the regular SUV. As for the roof, Porsche is giving buyers two options. First, a panoramic-type roof is the standard choice, while a carbon-fibre roof is an extra. 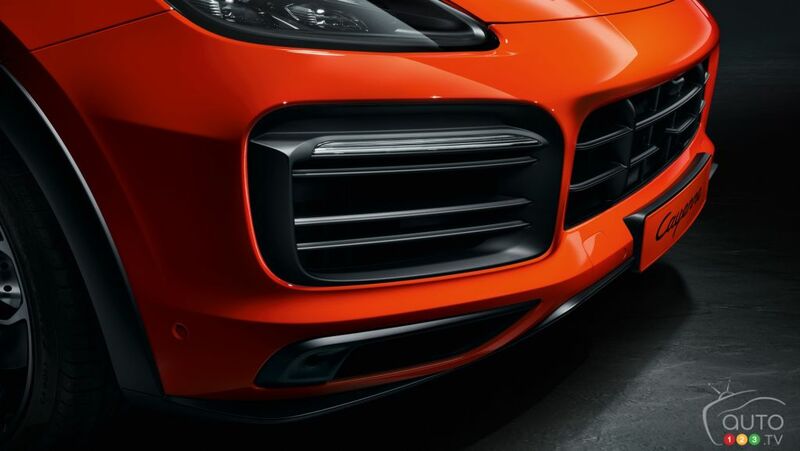 The latter allows for reducing the vehicle’s weight and lowering its centre of gravity, which is intended of course to please those who want to get the sportiest performance possible out of their Cayenne. Another option that can be tacked on is the set of 22-inch wheels, if you don’t mind taking your chances with our infamous potholes! The default engine is a 3.0L V6 turbo delivering 335 hp and 332 lb-ft of torque. 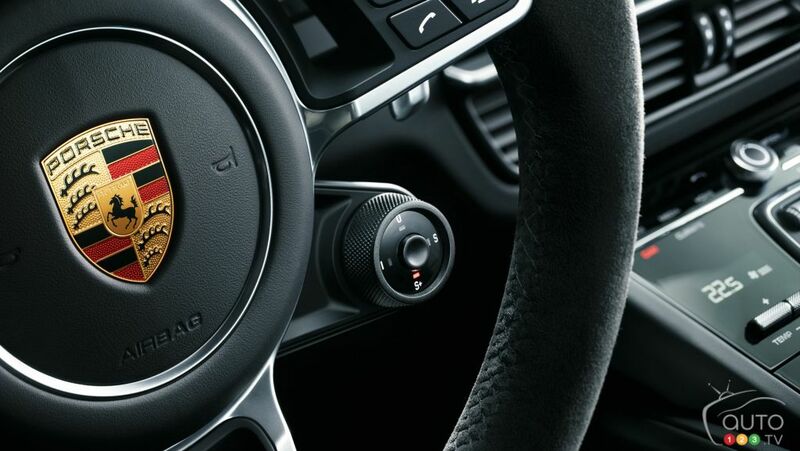 This unit gives the Cayenne Coupe a 0-60 mph (96 km/h) acceleration time of 5.7 seconds. 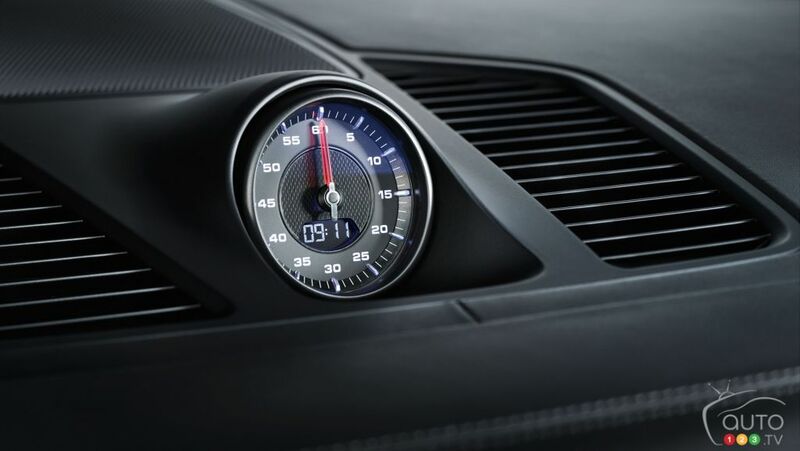 You can cut two seconds off that time when you opt for the 4.0L twin-turbo V8 engine. This monster generates 541 hp and 567 lb-ft of torque on a silver platter. Beyond the new styling that serves as a response to the products being offered by the competition, Porsche is hoping that the arrival on the market of this racier Cayenne will kickstart sales of the model, which dropped by some 2,500 units in the U.S. last year. Currently Porsche sells twice as Macans as it does Cayennes.